The Samsung Galaxy S4 is here. We bring you our rundown on the new smartphone. There have been seemingly endless amounts of rumors and leaks, and finally the time has come for us all to get a taste of what the Samsung Galaxy S4 is all about. The Galaxy S line-up has been Samsung’s greatest success on the mobile market, and with each new generation the series has impressed. With that in mind, every smartphone enthusiast has high expectations for the Samsung Galaxy S4. Will it be the smartphone of the year? We came a little closer to answering this question on Thursday as the company fully unveiled the handset at a Samsung Unpacked event in New York City. What did we learn at the event? Without further ado, here are the top 5 things you need to know about Samsung’s brand new flagship smartphone. The Samsung Galaxy S4 arrives with a 13 MP rear camera coupled with a 2 MP front-facing sensor – pretty much the standard for high-end smartphones. What’s different about the SGS4 is that it arrives with a lot of interesting new software features. The first is the “Dual Camera,” which allows users to take pictures or record videos with both cameras (rear and front facing) simultaneously. Therefore, you’ll never again be “behind the scenes” when taking videos or snapping photos. There’s also “Sound & Shot,” a neat little feature that lets the user record a small audio clip before or after taking a picture. Last but not least, the SGS4 is equipped with the “Drama Shot” and “Eraser” features. The former gives you the option of taking 100 quick-burst shots in just 4 seconds and creating a collage from which ever pictures the user selects. Eraser, on the other hand, is a more practical addition to the camera software, as its role is to identify unwanted elements in a recently captured photo (such as a person that happened to pass by,just as you’ve tapped the shutter button) and gives you the option to remove them. Owners of the Samsung Galaxy Note 2 are already familiar with Air View, which is used to display additional on-screen information within a pop-up tooltip without having to actually access the file, message, or picture. Instead Galaxy Note 2 users just hover the S-Pen above the part of the screen and a pop-up window appears. Future Samsung Galaxy S4 owners will be happy to learn that the feature will now appear on the manufacturer’s latest phone. The difference, however, is that Air View on the SGS4 doesn’t require an S-Pen but rather works just by hovering your finger above the surface of the display (much as Floating Touch on the Sony Xperia Sola). Unfortunately, not all apps will initially provide support for this feature (G-Mail for example), but this will likely change once developers update their software. These two features of the Galaxy S4 had been widely rumored and yes, they are as real as technology allows them to be. For Smart Scroll this means the rumor that eye-tracking technology would allow for hands-free scrolling hasn’t exactly come to fruition yet. Yes, Smart Scroll will scroll pages for you, but it still requires hand/wrist movement from the user. On the other hand, Smart Pause does seem to work as rumored, meaning that the smartphone will recognize whenever the user is looking away from the display and pause the video accordingly, assuming that one is playing. A leaked You Tube video shows off these two features in real time. With S Translator you’ll never be lost while visiting a country whose language you’re not familiar with, assuming citizens there speak either Chinese, French, German, Italian, Japanese, Korean, Portuguese, Spanish, or English. The app acts as your personal translator for those nine languages. All you need to do in order to communicate with natives is talk into your phone’s microphone using your own language and the software translates it for you. It’s important to note that the feature is capable of translating text-to-speech, speech-to-text, or any other combination between the two. While this is not necessarily brand new technology, Optical Reader is interesting and can be quite handy. It has the same function as S Translator, with the only difference that it works with text. With Optical Reader you can scan a certain document (for example, a menu in a restaurant) and the app will translate the text for you, on-screen. Once again, this feature should be very useful if you’re travelling. These are the top Galaxy S4 features — in our humble opinion. However, this is certainly open to debate as the S4 is chalk full of interesting apps. We encourage readers to tell us what they believe are the most interesting ones below in the comment section. But first, here’s a quick hardware-spec roundup for readers who are interested in what’s going on under the hood. Although not every piece of hardware has been revealed (such as the CPU), what we’ve learned so far is that the SGS4 sports a 5-inch Super AMOLED display with a resolution of 1080×1920, Corning Gorilla Glass 3, 2 GB of LPDDR3 RAM, 16/32/64 GB of storage expandable by up to 64 GB via microSD, two new sensors besides the usual stuff (temperature &amp; humidity, as well as IR gesture), a 2,600 mAh battery with everything being powered by the Android 4.2.2 Jelly Bean. 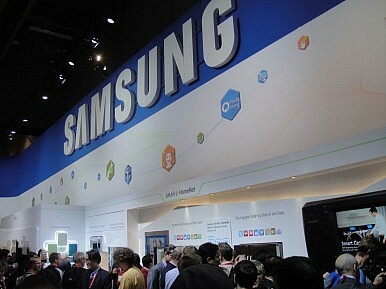 So please let us know: are you pleased by what Samsung has delivered? Will the Samsung Galaxy S4 be your next smartphone? Share your thoughts with us in the comments section below. How much will it cost? What features will it have? Can it compete with iPhone 5?